With its conventional cone shape and tightly packed branches, the North Valley Spruce is the perfect holiday centerpiece. 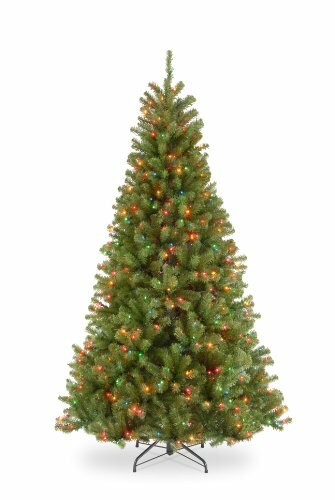 Generously lit with pre-strung multi-color lights and featuring hinged branch construction, this tree assembles quickly and easily. 52" diameter at base, includes metal tree stand.